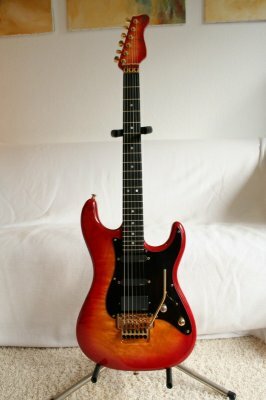 One piece quillted maple body, Fireburst, Birdseye maple neck, Ebony fretboard with 22 frets, Schaller Floyd Rose tremolo, Gold Hardware, Loaded with SA/SA/85 EMG pickups,Very good condition. 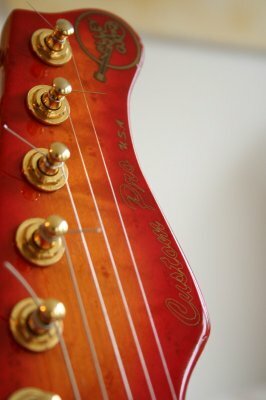 I bought it used in 2006 in Bremen, Germany. 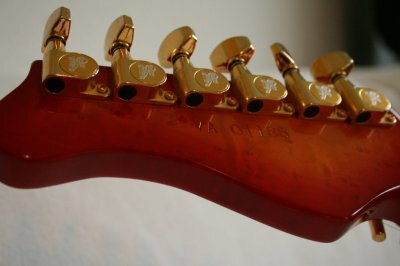 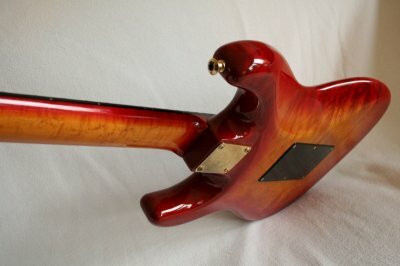 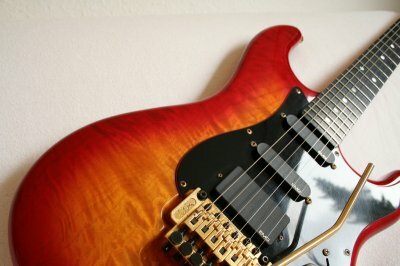 The guitar player of the Jule Neigel Band, a famous german band in the late 80's/early 90's, bought and played this guitar.